Canada and TPP: A Pyrrhic Victory? 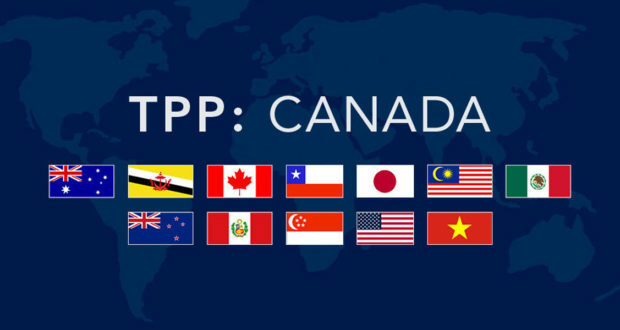 Canada and the remaining members of the old Trans-Pacific Partnership agreed Tuesday (January 23) to a revised trade agreement. Last fall, participants rebranded the pact as the Comprehensive and Progressive Agreement for Trans-Pacific Partnership. Rebranding the treaty was perhaps in order after the ignominy of both US presidential candidates coming out against the old TPP on the campaign trail in 2016. Notwithstanding the rebranding, the deal is still referred to by most observers as the TPP. Supporters of the deal in Canada point out that it will open up access for Canada to Japan’s economy, the third-largest in the world. This should certainly benefit Canada’s agricultural, seafood and forestry sectors. In addition, with respect to the automotive industry, Canadian government officials tried to strike a hopeful note, emphasizing that their companies can compete anywhere on a level playing field and access to Japanese automakers will be a great opportunity for Canadian manufacturers of auto parts. However, Flavio Volpe of Canada’s Auto Parts Manufacturers’ Association, criticized the deal harshly. “This could not be a dumber move at a more important time,” Volpe said in an interview. Canada begins NAFTA negotiations with Mexico and the US this week. Canada is facing US demands to increase the North American content of autos from the current 62.5 percent. However, the new TPP deal is at cross-purposes to this in that it would allow the duty-free import of parts which contained a maximum of 35 percent of components from member nations. The U.S. buys three-quarters of Canada’s exports and Detroit’s location across the narrow Detroit River from Canada has resulted in the automobile industries in the two countries being joined at the hip. Critics contend that the Canadian government was more concerned with announcing a trade deal to the world than carefully considering its terms. The TPP deal does give Canada trade rights with respect to the Japanese auto market. However, many observers are skeptical about how much this will actually help Canada given that the domestic Japanese auto industry is very well established and insular. While keiretsu are no longer legal realities in Japan, one would ignore their influence on Japanese business culture at your peril. In any event, it would be hard to imagine Canadian auto parts makers taking the Japanese market by storm. It is not hard at all to imagine Canadian auto parts makers struggling to match costs with Chinese manufacturers. On the bright side, beef and salmon should be less expensive for Canadian auto executives on fruitless trips to Tokyo and exporters of wood to Asian chopstick makers should enjoy the best of all possible worlds. Christopher J. Donnelly, is an experienced attorney, bond analyst and fixed income strategist, with years of experience in structured finance, distressed bonds and bond related litigation in a variety of industries and the emerging markets. He is a graduate of Rutgers University (BA), The University of Pennsylvania (JD) and New York University, (LLM in Taxation). Chris is a Managing Director of Straacom, LLC and can be contacted at cdonnelly@straacom.com. Straacom provides strategic research, analysis and communications for publication and on assignment for private clients. Small Businesses are Fed up with Facebook?